According to this ranking of the 'hottest old school blogs' over at the Cyclopeatron, this modest little blog is tied for #9, having added 9 followers between September 11th and September 30th. I'm regularly astonished and honoured to know that there are a few folks out there who seem to enjoy occasionally visiting this blog, given how sporadic and idiosyncratic my posts tend to be. And some folks even take the time to comment! Thanks so much, gentle readers. I appreciate the conversations! 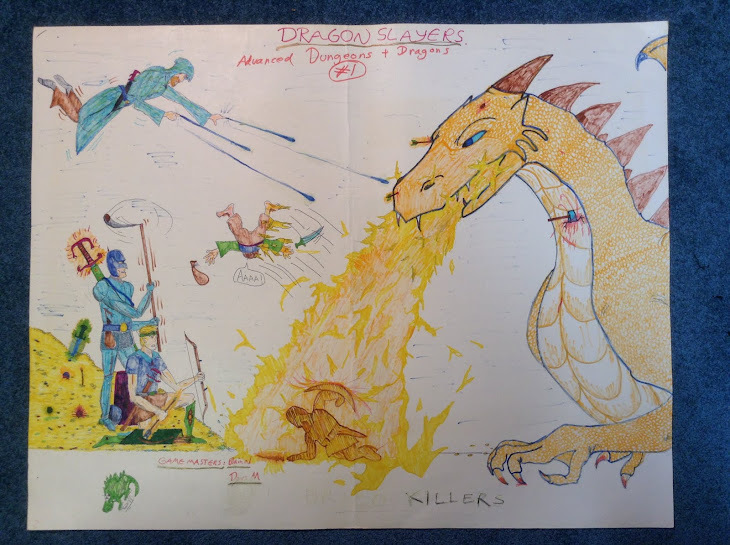 Here are some random things that I thought might be of some interest to the folks that visit this rather sporadic and insignificant blog. As some readers may recall from posts like this one or this one, I’m a huge fan of J.R.R. Tolkien’s Middle-earth, and ICE’s (now out-of-print) RPG Middle-earth Role-playing (a.k.a. ‘MERP’). 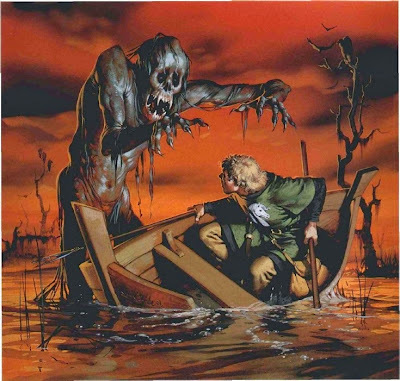 There is a very interesting thread over at the RPGsite on running RPG campaigns in the Fourth Age of Middle-earth. Here it is. Lots of great ideas! 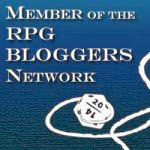 Author of OpenQuest, and generalissimo of ‘d101 Games’, Newt Newport, has a new blog. It’s called ‘Sorcerer Under Mountain’. Check it out! Finally, I’m a huge fan of – and occasional contributor to – Fight On!, the premier fanzine of the ‘Old School Renaissance’. Right now the PDF version of issue 9 of FO! is available for only 4 USD. A great deal! 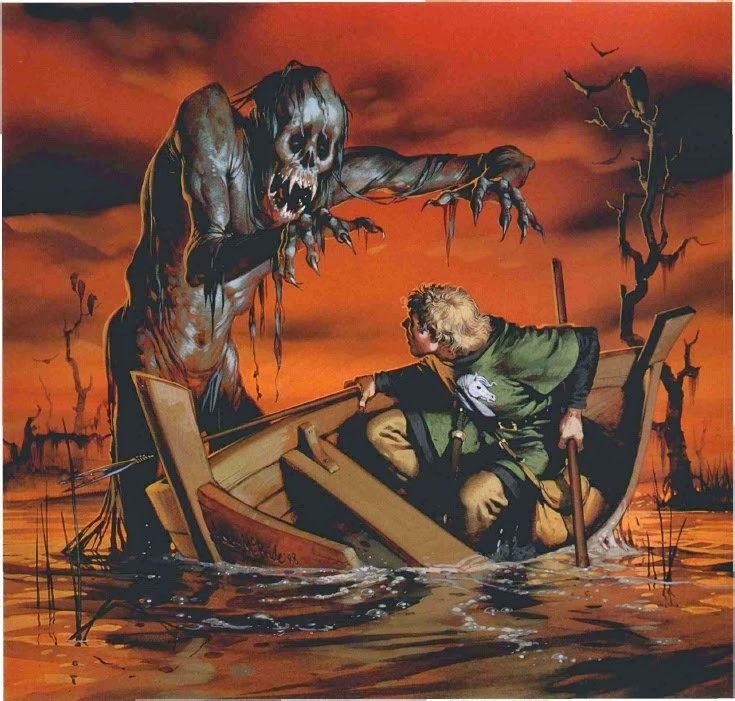 This picture -- Emirikol the Chaotic, by the incomparable Dave Trampier -- is perhaps my favourite picture from any AD&D book. It made an incredible impression on me as a young lad, one that has stayed with me for nearly thirty years now. 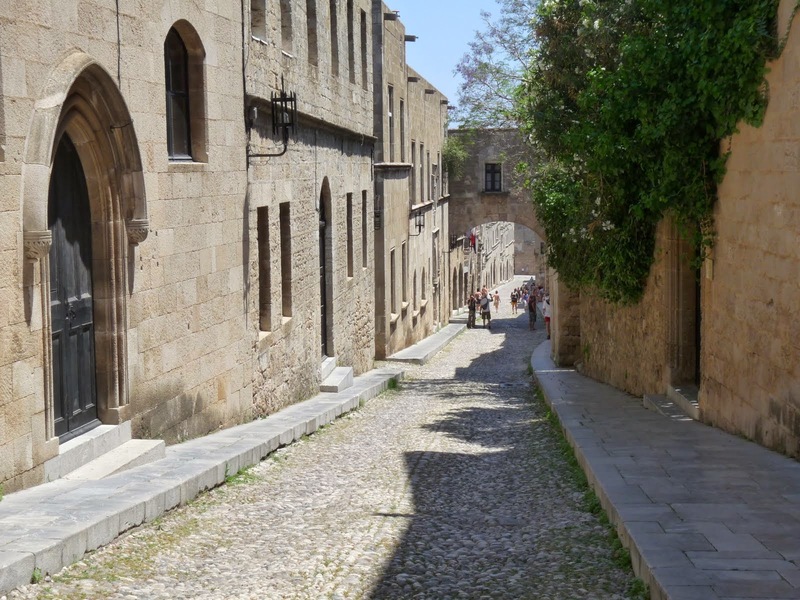 Over at Bat in the Attic, Robert Conley has tracked down the real world cityscape depicted in this picture (the Street of Knights in Rhodes). He also has traced the likely route of Emirikol. Clockwork & Chivalry: 17th Century Fantasy Anyone? 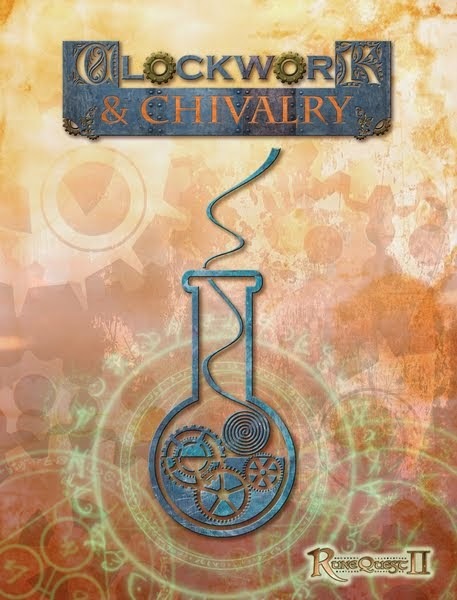 I'm brewing a longer review, but quite simply in my opinion Clockwork and Chivalry is the best British Fantasy setting since WHFRP 1st ed. 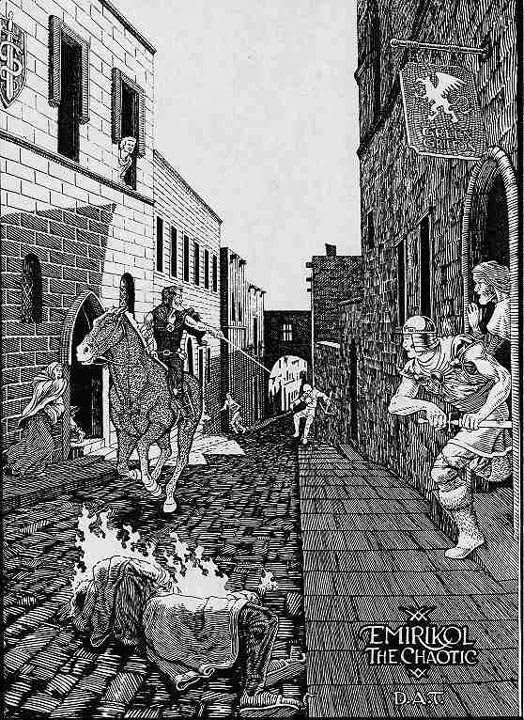 Its more fantastic than fantasy, there are no orcs, using the superstitions of the time as a basis for the magic in the game. It uses the MRQ2 framework to good effect, without being constrained by it. I could quite happily use this book with another game system. Looking forward to the campaign adventures popping up in print, since the introductory adventure adequately whets the appetite for more. A must buy if you like historical games or are looking for a fantasy game that is different from your run of the mill orcs and dungeons fare. Wow – that is high praise! The website ‘Clockwork and Chivalry’ is devoted to the setting, in case you are curious to learn more. I’ve always found the seventeenth century to be a fascinating era, and especially the events in England. The English Civil War(s), the Exclusion Crisis, the Glorious Revolution, and so forth, all had an enormous impact on the development of liberalism, especially in (what would become) Britain and her dominions (including the colonies that eventually would become the United States, as evidenced by the extent to which the Declaration of Independence and the U. S. Constitution draw upon – indeed, even plagiarise in places – John Locke’s Second Treatise on Government). In addition to the political and religious conflicts that wracked England throughout the century, there also is the rise of modern science (Bacon, Boyle, Newton) and modern philosophy (Descartes, Hobbes, Locke). My fondness for this era should be evident from my choice of avatar: Thomas Hobbes, arguably the greatest English philosopher of all time. The addition of alchemy and clockwork machinery to the era is intriguing. And even if I don’t eventually get to run a Clockwork & Chivalry game (though I hope to), merely reading the core book should be fun! In a nutshell OQ Classic is a version of OQ that is focused for Old Skool dungeon bashing and wilderness adventures. It is a shorter version of OQ about 100 pages long, rules + setting adventure. 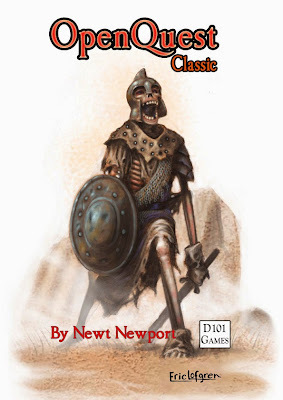 As well as cheerfully rubbing the nostalgia button for existing D100 players, the book is a short cheap focused introduction to fantasy roleplaying. 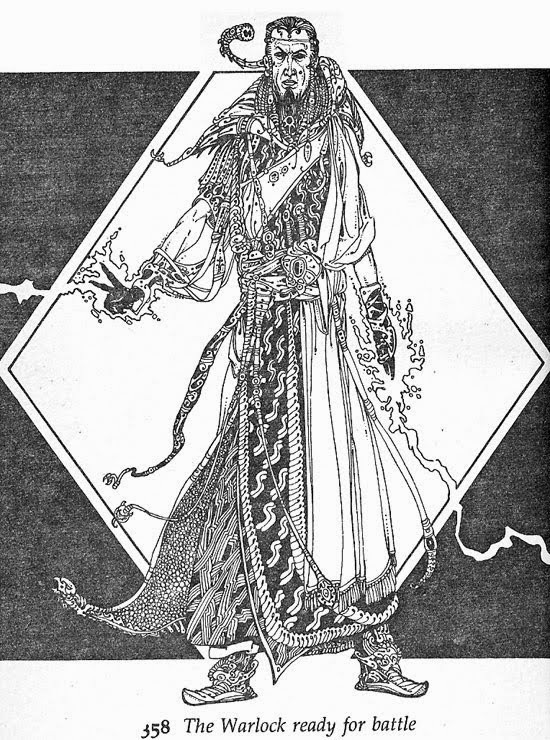 For owners of the existing OQ book it acts as a supplement with extra spells, magic items, monsters and adventures, which will take up roughly half the book. Final book will be trade paper back sized (6”x9”), feature all new art, and be priced around £10-£12 print / £5-6 Pdf. NONE OF THE NEW CONTENT WILL BE OGL.